← Day 76: Try Joga and HIIT Classes. There are few things in life more humbling and simultaneously satisfying than manual labour. I actually got up at 5:30 am – on purpose – this morning, not to catch a flight, but rather to help shovel soil from huge bags into wheelbarrows, pots and beds – for free. And I somehow managed to enjoy myself in the process. Now, before you ask, yes, I have quite possibly lost my last few remaining marbles, but that does not preclude the fact that the simple things in life can be both weird and absolutely wonderful at times. It all started with a group of four friends who were on maternity leave. 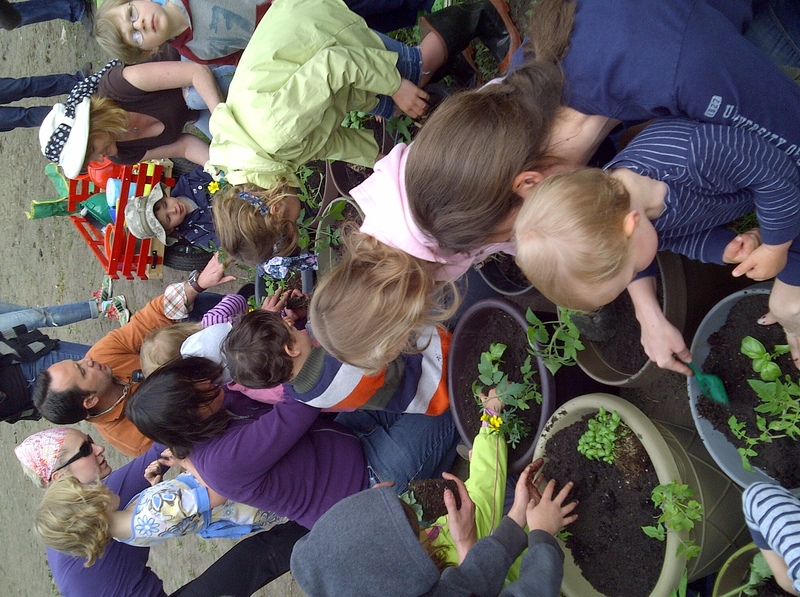 They decided to take advantage of their ‘time off’ to convert a small, desolate plot of land next to a railway underpass into a community garden. 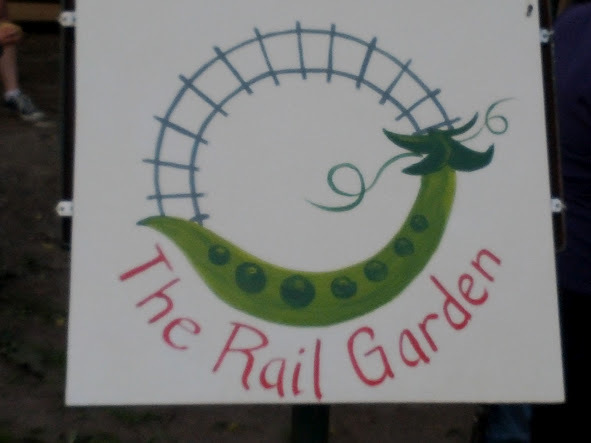 It took a lot of time and hard work, but they eventually managed to secure all of the necessary permits, local business support, neighbourhood involvement, funding, design and supplies to help their coffee break notion of an idea fully blossom into the reality that is The Rail Garden. A good friend of mine lives in a nearby apartment, and was fortunate enough to secure a half of one of the coveted planting beds. She assisted several weekends before today in clearing the ground, framing the beds and even building cute little benches from which to bask in the garden’s splendour. I was otherwise occupied on those occasions, I dunno, blowing glass, or something. So there was no way that I could possibly refuse the seemingly innocent request to lend a hand filling the beds with soil. My Brownie reflexes of days gone by caused me to pipe up in a heartbeat. Of course I was in! 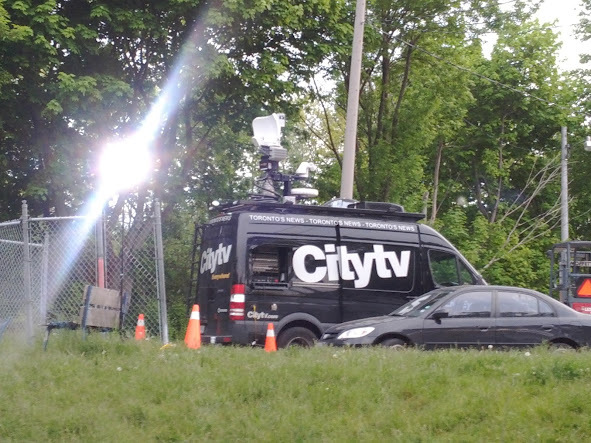 This morning, my friend and I arrived pretty much at sunrise to already find Frankie ‘Flowers’ and his crew from Breakfast Television on the scene, because, you know, they’re everywhere. 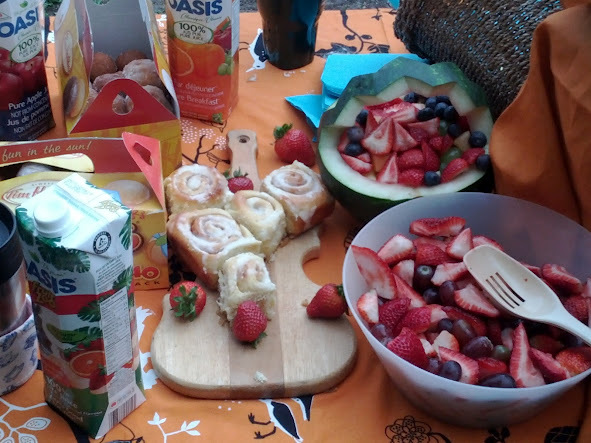 The next thing that greeted us was a gorgeous selection of breakfast treats, including homemade granola, yogurt, and a big bowl of beautiful berries. But we barely noticed those next to the huge selection of bite-sized muffins, cinnamon rolls, croissants and, of course, the ubiquitous Timbits. Apparently, community work has its privileges! With our energy levels restored, we headed over to where the forklift had dropped off huge sacks of soil, picked up a couple of shovels and got down to business. All of the neighbours were very friendly, and their children provided us with endless entertainment. Over the course of about an hour and a half, things in the garden progressed nicely, including the stiffness in my neck and shoulders. Not having had the need or desire to wield a shovel in many years, these particular muscles were clearly out of practice. Luckily, one of the ladies with a plot near my friend’s also happened to be a masseuse, and thoughtfully brought along her massage chair. Since no one else had pestered her yet, I felt it was only my duty to break the ice, and bring attention to this most generous service that was being sorely neglected. It felt positively heavenly, and like my own reward of sorts for giving back a little to the community. Who knew that karma could indeed be your friend after all. 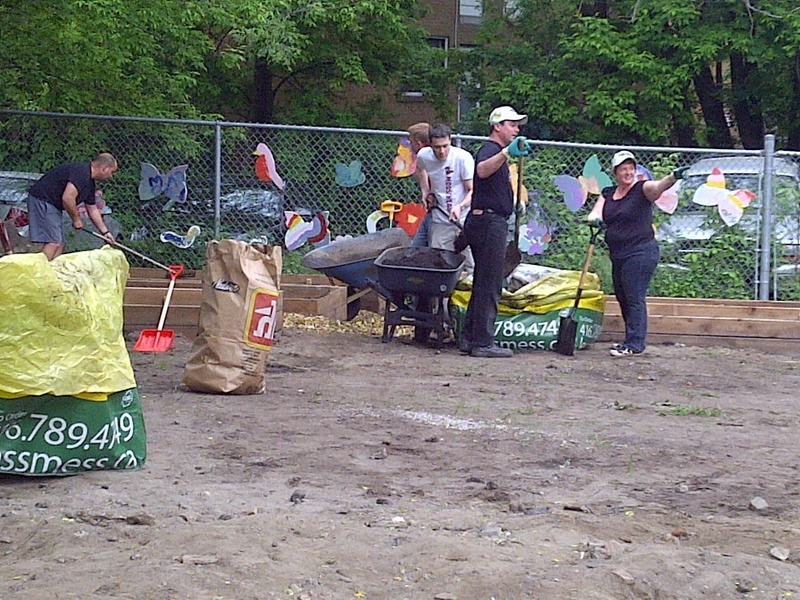 This entry was posted in Karma and tagged Breakfast Television, community gardening, Frankie Flowers, karma, May, the Rail Garden, Toronto. Bookmark the permalink.